Summer is in full swing in Melbourne and this week's warm weather is keeping me close to home, air conditioner, and sewing machine. Alas, a new quilt is in progress and it is starting to look like it might be another productive week. This bundle has been sitting on my cutting table for the last few weeks. Each time I have caught a glimpse of this bundle an imprint was made in my mind, and slowly a quilt design evolved. 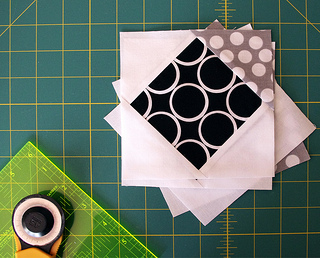 I have learned to be patient in this process, and trust that a suitable plan, or quilt design, will come to me. Eventually. This block is based on a traditional Rolling Stone Block, however I have jazzed it up a little by varying the width of some of the components and by reconsidering the traditional fabric placement. More blocks are being made and a layout is yet to be considered. those blocks look fantastic! kinda swoony but maybe not so complicated? love the colour combo's you've used. These are beautiful, and I especially love the polka dots! They look difficult but I can see that construction is not really that complicated. Wonderful work, as usual. You are an inspiration! Really stunning Rita! I love this one a lot. 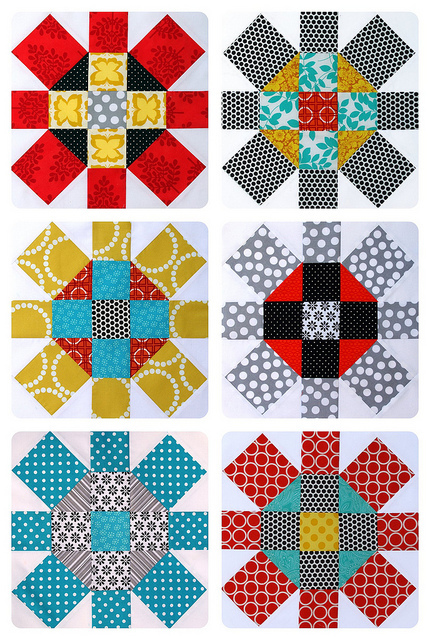 These are absolutely beautiful.Your blocks stunning!Love,love. 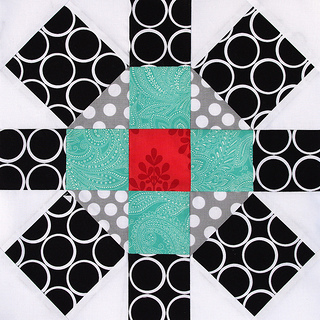 love your take on this block and as always, your colour and fabric choices are impeccable! Oh my goodness, Rita. These are so beautiful! Do I see a new pattern coming soon Rita? This is really wonderful. I love all the blocks. Stay cool from a Floridian. i LOVE your blocks, Rita! are you thinking of making a pattern out of this? I just made a traditional rolling stone block last week. It was quite fun! Oh my! My heart is palpitating!!! Zingy use of colorful fabric. 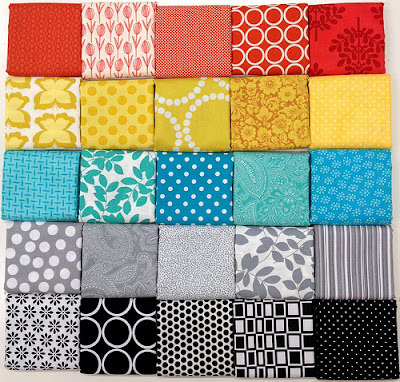 I have some fat quarter bundles laid out and look at them for inspiration too...this lot is taking a while. You are brave and bold with your fabrics Rita. I agree with Carla- I think my little heart just skipped a beat- these are so beautiful! What a gorgeous fabric bundle! I don't remember seeing it in the giveaway, but I love the folded version here. Such an amazing impact Rita. This si stunning Rita! I've been looking at this block and other similar ones in one of my books in the past couple of weeks. It reminds me of a Denyse Schmidt pattern that was out a couple of years ago...maybe a little easier though! The sun is finally out in Auckland too, not Melbourne temps though. These look like gorgeous daisies - very antipodean summer! Really really like this block! I'm usually more of a fabric person than a design person but this one sparked my interest!